My career change (which I’ll elaborate more on in a future post) has afforded me two luxuries: less stress and more time! Clearly a win-win situation, which makes me a very happy girl! This new-found freedom if my day-to-day work-life has given me the delight of once again stepping back into the garden, albeit a smaller one, but a glorious garden none the less! Cook rice and lentils using a 2/1 ratio of water to rice/lentils. Depending on what varieties you select this can take anywhere from 20 – 45 minutes. Once they have finished cooking set aside. Place a large saute pan over med heat and add a generous drizzle of olive oil. Cook scapes and leeks until fragrant, about 3-4 minutes. Add rice, lentils, and sour cream; mix well. Season with salt, pepper, and garlic power, add pureed lemon and feta cheese, stir well to combine. 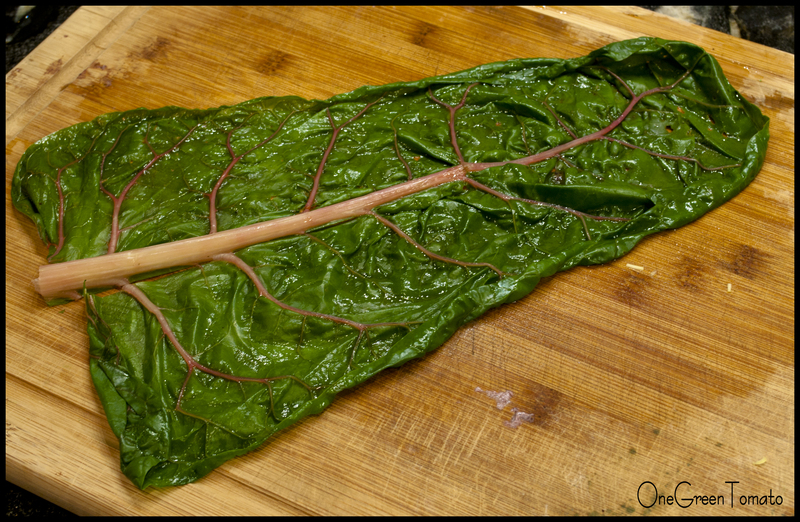 Blanch chard leaves 3 or 4 at a time in boiling water for approximately a minute, remove from water and lay flat. If the center rib is too thick and does not bend without tearing the leaf, then cut it out. Once the rib has been removed gently overlap the two sides. 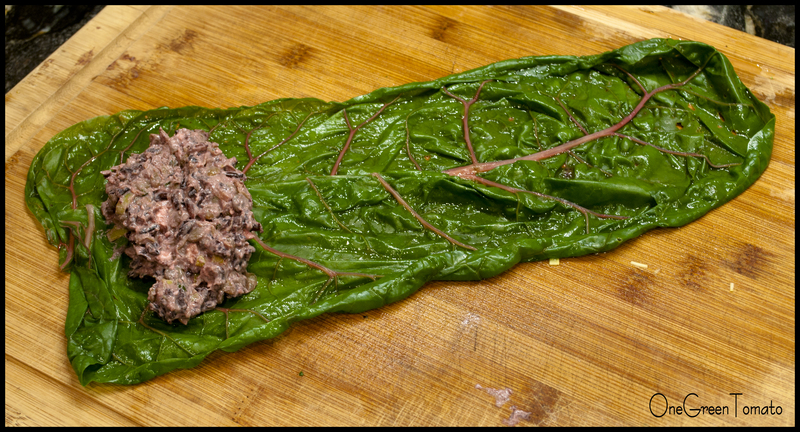 Place several tablespoons of filling at the base of the leaf. Tightly roll the leaf around the filling while tucking the sides in. Place rolls into a baking dish seam side down and bake for 15 minutes at 350°F. 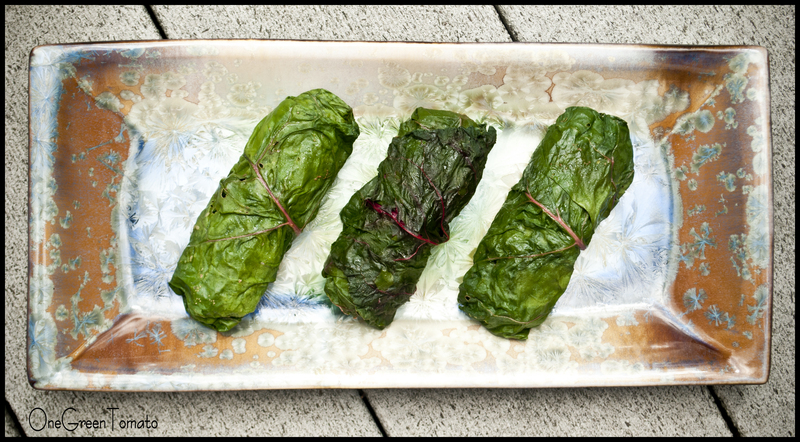 Stuffed chard rolls can be enjoyed hot or cold and are delicious when paired with a side of Greek yogurt. I can see myself making a version of these with ground beef and a cheesy red sauce; this will definitely make my carnivore a very happy boy! Images and content copyright © 2013 Danielle R Limoge. 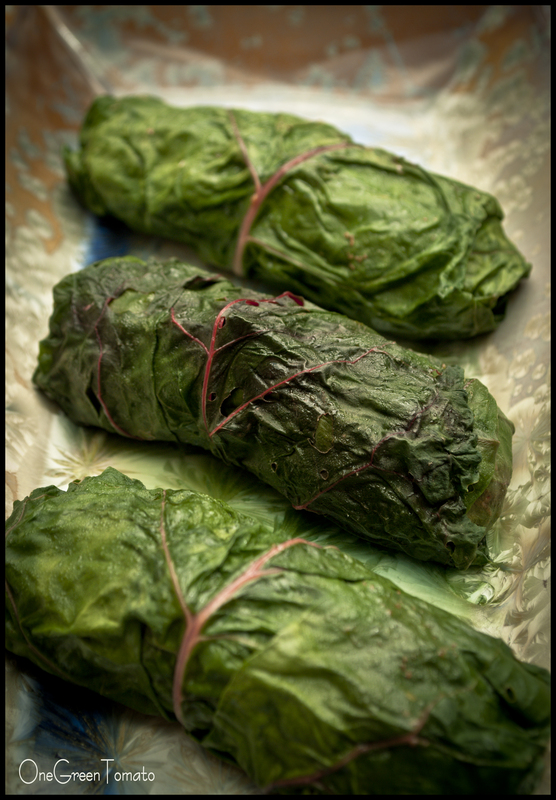 I love the idea of stuffed chard leaves!! And so versatile, you could stuff them with anything! I agree! I’m excited to mix up the filling and see where it leads! I haven’t grown chard, but we have huge, beautiful beet leaves. 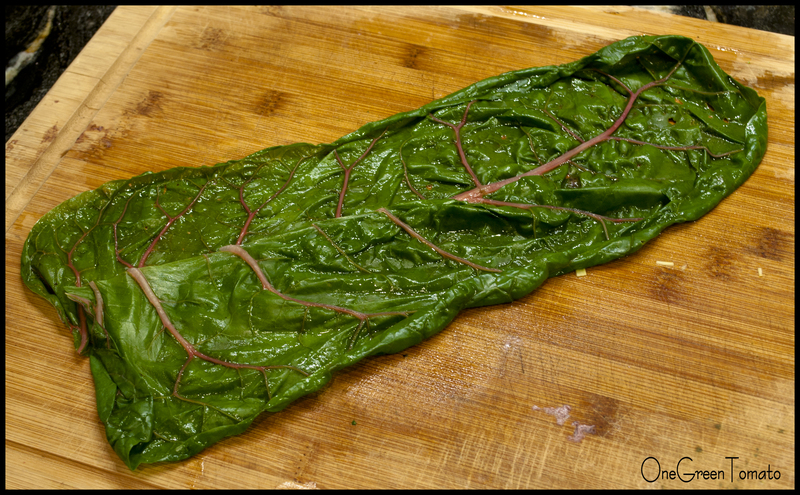 I harvest them each year and use them in recipes in place of spinach. 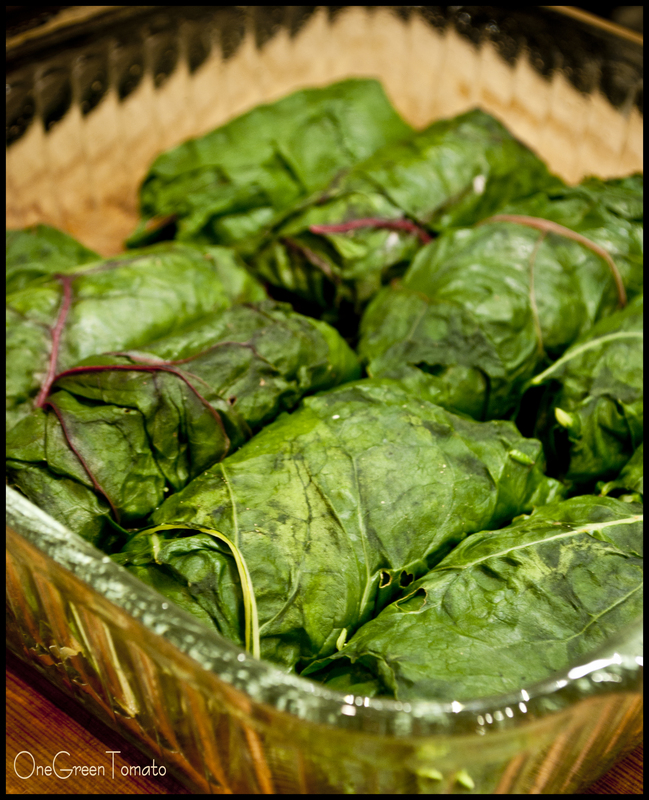 They look very similar and I’m thinking of substituting for your chard — what a wonderful idea, stuffing leaves. I never thought to use them that way! Thanks for the inspiration! 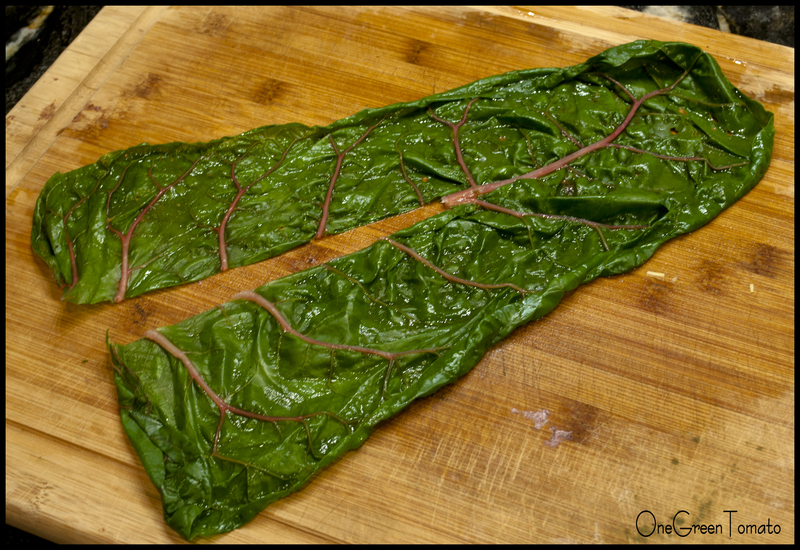 Beets and chard are related, so subbing in those beet leaves sounds like a delicious idea! Enjoy!